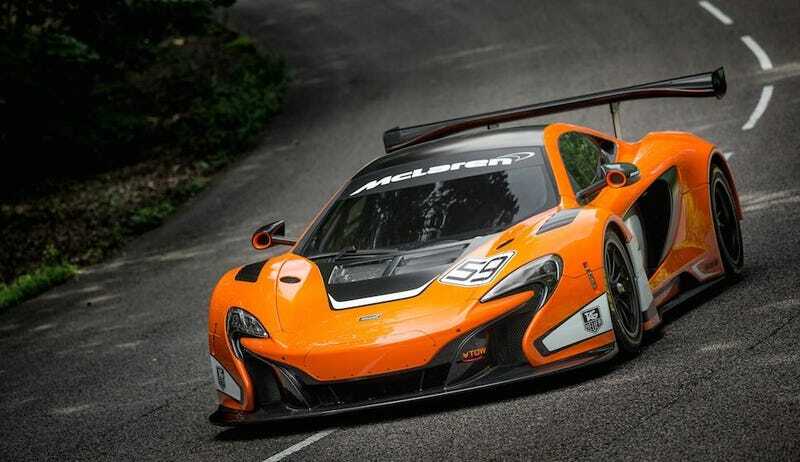 Remember the McLaren 650S GT3 that McLaren just unveiled at Goodwood? Of course you do. Well, McLaren wants to bring that car to Le Mans in 2016. Get excited people. This information comes from Andy Kirkaldy, boss of McLaren GT, speaking to AutoSport. The only problem is that McLaren can't build a Le Mans bound 650S yet, since the regulations for 2016 haven't been announced yet, and they need to bring the GT3 car to GTE specs. This would mark the first time that a McLaren has raced at Le Mans since 1998 with their epic F1 GTR. Le Mans is really starting to heat up, with Nismo joining LMP1, Ferrari kind of rumored to join LMP1, and now McLaren in GTE to fight Porsche, Corvette and everyone else. Should be some great racing in the coming years.